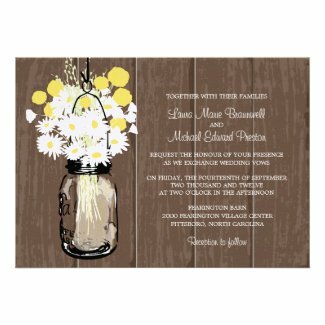 Featured below is a collection of unique custom Barn Wood and Flower Wedding Invitations. 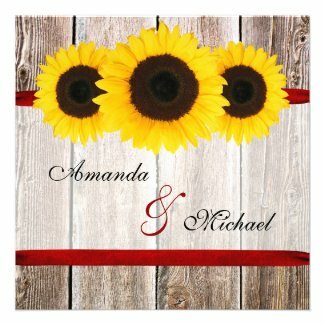 They are perfect for county themed weddings held in the spring, summer and autumn. There are many different Barn Wood and Flower styles and colors available. 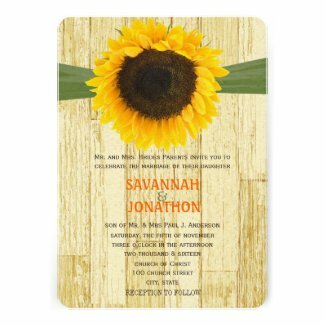 Click each invitation to personalize and view additional details. Take a look at the following sites for a great selection of County Themed Wedding Supplies. Horse Cakes and Cupcakes - This site features Western Horse Wedding Cake Toppers.